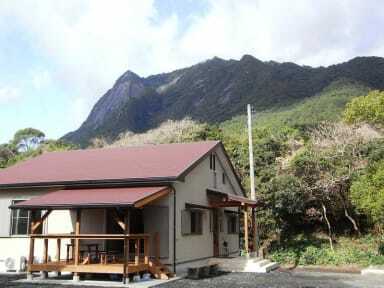 Guesthouse Yakushima is the first genuine guesthouse in Yakushima, a beautiful island in Kagoshima Pref. Well facilitated, free use of computers and the Internet, we are an affordable guesthouse of high quality. We have both male and female dormitories, a family room, a twin room, and a Japanese style guest rooms, all equipped with free LAN or Wifi Internet systems. 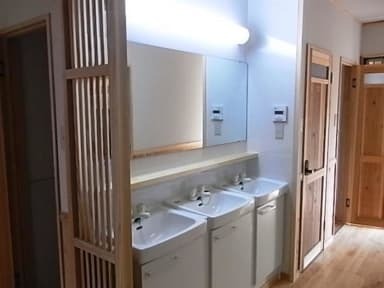 The Japanese style room has a capacity of 4 people. It is tatami-matted, where guests sleep on the futon on tatami mats. All other guestrooms are equipped with bunk beds. The living room has a kitchen system, a refrigerator, a rice cooker, a toaster, a microwave oven. Cooking wares and table wares are also prepared. Guests can use all these for free. There are also a TV and personal computers in the living room for free use. Outside the living room, we have a roofed porch where smoking is allowed. This is the only smoking area of the guesthouse. We have 2 shared shower rooms and a shared bath room. Shampoo and soap are available.